PBworks is excited to be the first online editor capable of instant drag and drop file upload and image insertion. 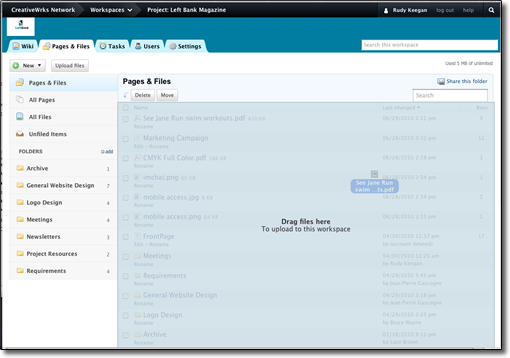 Now you can choose any file from your desktop and drag it into PBworks for instant upload. This feature only works on the latest version Firefox, Chrome and Safari. 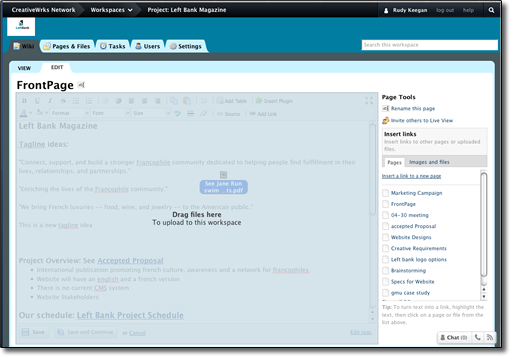 Drag files from your desktop to the pages and files section of your workspace. Your files will be automatically uploaded to your workspace. You can also instantly upload files while your in edit mode. While you’re editing, drag any file to your page. Your files will be uploaded and inserted in your page.